The Indian Cricket League received a big boost today when former West Indies Captain Brian Lara officially signed up. Besides Lara, ICL also signed up Madan Lal, Balwinder Singh Sandhu, Rajesh Chauhan and Pranob Roy. 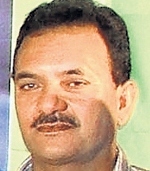 Madan Lal, former allrounder and member of India’s 1983 World Cup winning team, will coach ICL’s Delhi Team. Balwinder Singh, former pace bowler has been signed up as Director of Academics. Former players Rajesh Chauhan and Pranob Roy, who also served as BCCI selector, were roped in as Talent Scouts. Monday’s announcements also made it official that the ICL would be an inter-city league. 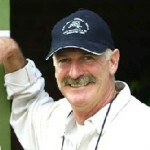 Earlier, it had been only announced that the first edition, to be played at the end of this year, would feature six Twenty20 teams. Apart from Delhi, the other five teams would be Mumbai, Kolkata, Hyderabad, Bangalore and Chandigarh. So, the tournament, in all likelihood, would be staged in one of these six cities. The ICL had earlier announced the signing of India’s 1983 World Cup winning captain Kapil Dev as its Chairman apart from Kiran More and Sandip Patil. 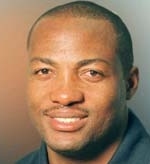 Brian Lara said in a statement issued by the Essel Group, It gives me great pleasure to join the Indian Cricket League. You can’t keep me too far from cricket and hence I return to the game in this exciting new avatar that the Essel Group has launched, I look forward to playing with promising youngsters from India and elsewhere along with some of my illustrious international counterparts who I’ve shared many an exciting moment with on the field. I feel honored to captain one of the ICL’s city teams, and hope to use my experience in taking that team to victory in the inaugural ICL Trophy. 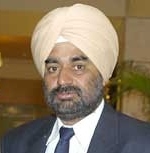 Balwinder Singh Sandhu said, I endorse the structure and the system of the ICL. In the past I have been the head coach at the NCA and have been the coach for the U-19 team, both of which will stand me in good stead in performing my duties.